NOTE: Pick the movement that is a “goat” for you. 75 Good mornings (with bands, or bar, or dumbbell, or pvc), for effort & quality. An additional definition of the goat can be found by watching the movie “Waiting” with Ryan Renolds. I am pretty disappointed in this time, wish I could have strung together the snatches- legs are feeling pretty weak today. tough workout, did a 5k row to warm up… oops. feeling the pain. 2 weeks now at your box. Truly humbling experience. Hope I get this powerlifting stuff and get stronger. 35 box dips as my goat. 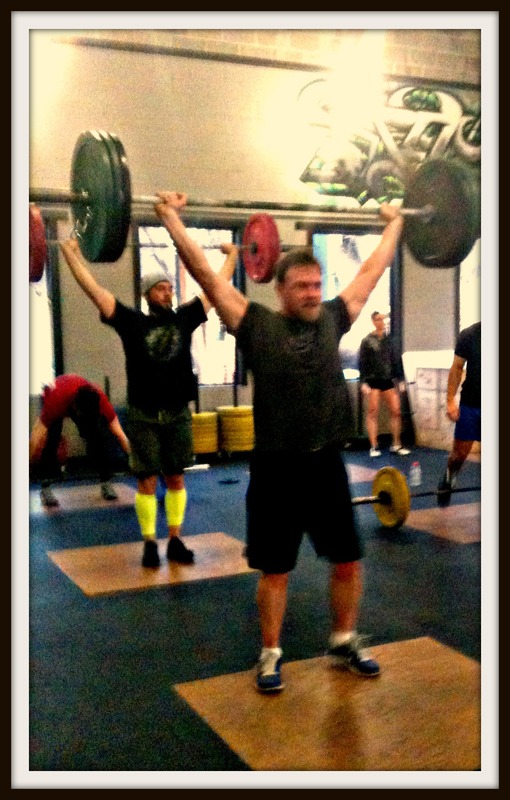 85# snatches and slow burpees in 12:40.